So much for genetics. 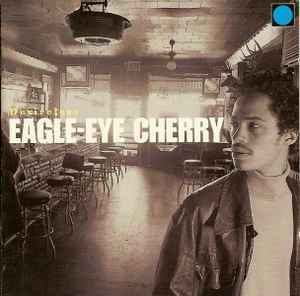 As the son of the late avant-jazz icon Don Cherry and the brother of funk-hopping Neneh Cherry, Eagle-Eye Cherry carries a heavy legacy. Fans of the adventurous Cherry clan, then, will be disappointed by the lite-rocking Desireless, Eagle-Eye's debut album. Eschewing his sister's grooves in favor of mellow acoustic guitars, the youngest Cherry apparently hasn't met a Ben Harper song he didn't like – or rip off, down to the diluted Zeppelinisms of "Indecision" and the smokily ersatz Cat Stevens rasp he uses throughout. The mystical, corny lyrics, meanwhile, give Rod McKuen a run for his money – check out the head-scratching "Seagulls fly/When mermaids cry" chorus from "When Mermaids Cry." The album's most effective song is the title track – its Brazil-beat-meets-acid-jazz-meets-Santana-funk stands out amid the radio-friendly dross; then again, the song was written by Don Cherry and has no words, which helps. Desireless has one great achievement: It makes Dave Matthews Band sound positively edgy in comparison. So here I sit on this beautiful fall afternoon, a stoner feeling rolling through my body, scratching my head wondering how Rolling Stone could have gotten this so wrong ... and so glad that I don’t gage my musical interests by such an outdated, star driven, used-to-be music rag. Desireless is a really great laid back collection of songs that fold effortlessly into and out of each other, conceptualizing and presenting exactly what I feel Eagle Eye was attempting to convey. There’s an easiness to each song, as if they’ve just tumbled out of his pockets ... I’m feelin’ every note, and connecting with every lyric ... and then I remember that it’s been awhile since I took a breath. Surprised this hasn't made it to vinyl...underground gems.